Should you sell your business to your employees? WOLFVILLE, NS. – The Canadian Worker Co-operative Federation (CWCF) has announced plans to host its 23rd annual fall conference in Nova Scotia’s Annapolis Valley from November 5-8, together with co-host CoopZone, at the Old Orchard Inn. If you own a small business, you are invited to join worker co-operative experts and other small business owners at a special evening workshop on converting small businesses to worker co-operatives, which is being held in conjunction with this Conference. For small business owners, worker co-operatives can be a powerful tool for succession planning and can help create a strong business through shared entrepreneurship. 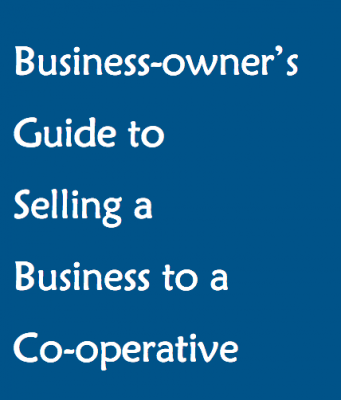 This two-hour session, on Nov. 5th at 7 – 9 pm, will introduce small business owners to the benefits and challenges of co-operative conversions, and help owners decide if a co-operative conversion could be right for them, and their business. Attendees will hear from Careforce Home Care Co-operative of Kentville (www.careforce.ca), which converted to a worker co-op in 2006 after its owner decided to sell the business. Since that time it has grown significantly and won several business awards, including the Annapolis Valley Chamber of Commerce Outstanding New Business Award in 2010. They will also hear an introductory presentation by CWCF Financial Officer Peter Hough, who has done research on the co-operative successions and assisted several businesses in converting to worker co-operatives. In Canada, it is estimated that within the next ten years, one-half of business owners (or about 500,000 people) will exit ownership or transfer control of their businesses. The unprecedented scale of this phenomenon means that many businesses are at risk of not finding individual buyers or, in some cases being closed permanently, which is of particular concern in rural communities. 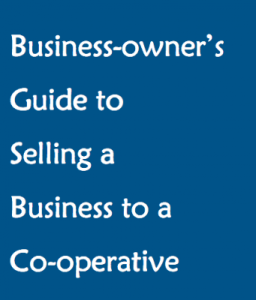 Business transfer to employees using the co-operative model is a very promising option to maintain and develop locally owned businesses and employment. The full Conference Program is available here, and on-line registration is here: bit.ly/cwcf2014. The Conference is open to members as well as others. Attendees of the full Conference must register on line by Oct. 27th The evening Co-op Showcase on Thursday, Nov. 6th, in which several co-ops from across the region and the country will give a fast-paced Ignite style presentation, is free. Those who wish to attend only the Business Succession workshop or the Co-op Showcase may register by emailing Kaye Grant, communications@canadianworker.coop. The Business Succession workshop fee ($20 + tax) can be paid at the door. A worker co-op, for the uninitiated, is a form of business where a company’s employees own and democratically manage the business. Typically, they share in both the business’ decision-making and its profit. Currently, there are an estimated 350 worker co-ops across Canada, employing 10,000 people. The Annapolis Valley is home to a significant number of co-operatives, including Careforce and Just Us! Coffee Roasters Co-op. For more information/interviews, contact: Hazel Corcoran: hazel@canadianworker.coop, or (403) 276-8250.